Flies can cause a lot of problems for people and livestock, and they seem to be everywhere around the barn and stable in the spring and summertime. What can you do to keep flies away from your horses and your property? As with most pest control, a well-rounded, integrated pest management (IPM) approach is best in order to take care of your horse. In this article, we will share several good ideas that you can use in combination to keep fly infestation at a minimum. Read on to learn more about how to keep flies off horses. Horse manure is a natural magnet for flies. They eat it and they lay their eggs in it. That’s why it is so important to clean stalls daily and dispose of manure efficiently. Flies are less likely to lay eggs in dry manure, so is better to spread it out to dry in the sun rather than piling it up. The downside of this method is that you’ll need about five acres of land per horse to have enough room to spread manure effectively. 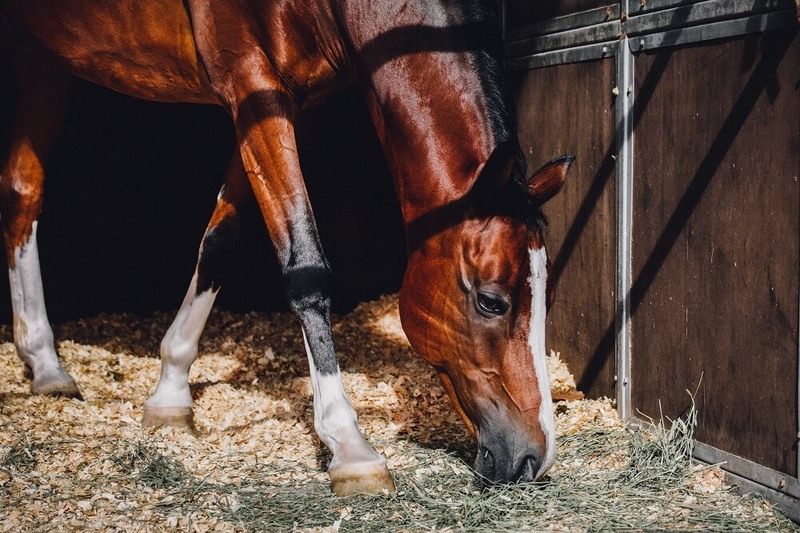 If you keep your horse manure in a compost pile, locate it far away from your horse’s living area. Every time you add manure, cover it with a layer of dry leaves or straw to prevent attracting flies. When you turn the pile, finish off by covering it with dry leaves or straw. Sprinkling food grade diatomaceous earth (DE) on and around your manure pile (and in other areas where insect pests are a problem) can also help keep the fly population at bay. DE works by coating insects’ exoskeletons. It dries out the lubricating fluid between their joints and desiccates them within a couple of days of contact. While they are drying out, reproducing is the last thing on their “minds”. Supplements can be added to feed to help your horse build up a natural resistance to flies. A quarter cup of food grade diatomaceous earth added to the feed daily can help reduce intestinal parasites and make manure less attractive to flies. Specialty supplement companies offer vitamin and mineral supplements formulated for the purpose of boosting horse’s immune systems for natural fly resistance. Horse feed is also attractive to flies, so be sure to keep your feed in a tightly covered bin. If you have a barn cat and/or dog, keep their food properly stored as well. This will also help prevent problems with rodents. Learn to tell harmless spiders from those few that may actually hurt you. Don’t bother garden spiders and wolf spiders as they have no interest in you and they will help keep your fly population under control. Predatory insects such as praying mantis, predatory wasps and fly parasites can also be very helpful. You can purchase praying mantis egg cases, non-stinging predatory wasps and fly parasites at your local garden center or online. Bats and birds are also very valuable natural predators. Bats eat huge numbers of mosquitoes at night and birds are very helpful in keeping flies of all sorts under control. Set up birdhouses and bat houses around your property to encourage these friendly fauna to take up residence. The best location for a bat house is on the south side of barns and outbuildings. Fly traps and baits are effective in reducing the fly population. Save your glass jars and punch holes in the tops just big enough for flies to enter. Put an inch of beer, apple cider vinegar or fruit juice in each jar. Put on the lid and place your jars around your barn. Flies will go in to get the liquid, but they will not be able to get out. Don’t use fly-paper or any sort of sticky trap. These devices do not discriminate, and you may end up killing off lots of beneficial insects and even birds and bats when you set these out. Pesticides should be used sparingly because they will negatively impact beneficial insects, bats and birds. 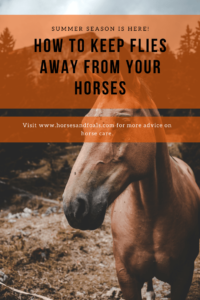 If you have a very heavy fly infestation, you may need to start out by getting it under control through the use of a horse-safe chemical such as permethrin, pyrethrin or cypermethrin. These are available in spray form for use directly on horses and in the surrounding area. You might also look for these products in a “spot-on” form that you can apply to your horse’s neck, back and legs on a monthly basis. Supplement with daily use of our homemade fly spray for horses. You will also find fly repellent pesticides available as wipe-on products and in salves that are safe for use around wounds. These are good products to have on hand to use as needed. When using pesticides, be sure to follow all packaging instructions carefully. 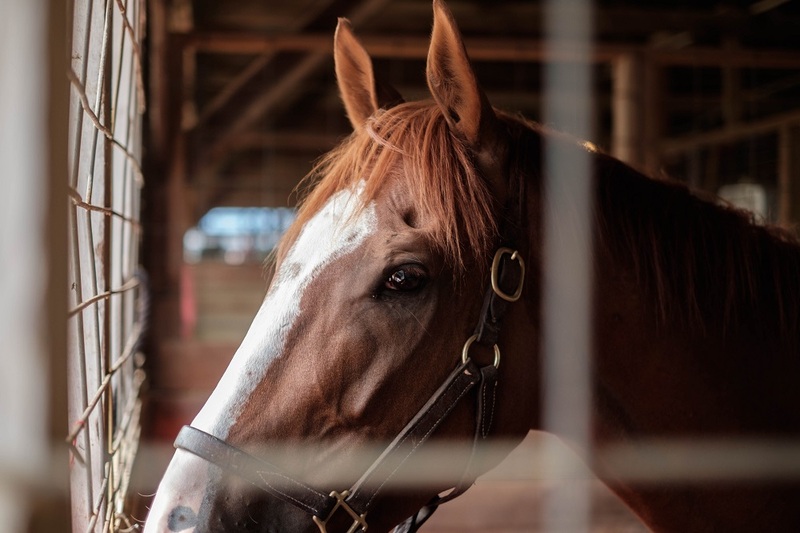 Consult with your vet if you have special circumstances, such as a senior horse, a pregnant or nursing mare or a horse recovering from illness or injury. This video provides more information on use of pesticides. Some equines (especially donkey jacks) are so attractive to flies that no matter what you do, you will still have a problem. If flies are plaguing your animal’s eyes and legs, you may want to invest in a fly mask, a fly sheet and/or mesh leg wraps to physically prevent flies from being able to land and bite. These are just a few of the products and homemade ideas that can be used to keep flies under control in the horse barn or stable. They are all good to add to your arsenal, but don’t rely on any one product or method specifically. Flies and other pests adapt and develop resistance quite readily. That’s why it is wisest to create a varied plan of resistance and rotate your products and methods on a regular basis.